With the explosion of inexpensive, online software, there's never been a better time to be running a legal funding company. Having the right tools for the job can make a huge difference in both your workday and business performance. The key, though, is finding the right tools, right when your funding company needs them. That's why I've created this list of 21 technologies for funders, to help you find the right tools from faxing attorneys to internal communications to full-blown core systems, and everything in-between. Deluxe e-check allows you to create checks online and email them with a few clicks. This cuts down the time it takes for the check to reach your plaintiff from days to seconds, eliminating frustrated, confused calls from plaintiffs asking why it's taking so long to get their money. Since its all done online, it also reduces overhead costs of physical materials, such as envelopes, postage, and paper. Just make sure your plaintiff client has a working email address, and you're all set. If your phone provider doesn't provide e-faxing, HelloFax is a solid option for funders. It starts at $10.00 per month and eliminates any need for a physical machine that will inevitably spend more time broken than working. At this point, DocuSign may fall into the "duh" category for funding companies. If you haven't checked it out yet, it's time. 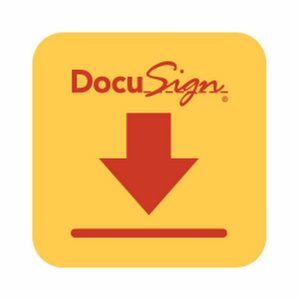 DocuSign eliminates many of the errors that can be made during the contract signing process by allowing you to electronically send the contract to anyone: plaintiffs, paralegals, attorneys, or investors, for example. You can preset the signing order, specify which fields each party needs to sign, and require certain fields in order to ensure that every contract is correctly completed. Other options exist, such as Ecosign and SignEasy, but DocuSign is the gold standard. Requiring that plaintiffs get their funding contracts notarized introduces a landmine of potential errors and delays. For the tech savvy plaintiff, this app can help eliminate some of those landmines. All they need is the ability to video chat over their computer or smartphone, and they can get their agreements notarized from just about anywhere. The best part is that you train Notarize agents to understand your documents and answer your clients' questions. Explain it once to the agent, and they can handle explaining it 1000 times to your clients. All funders should have the means to easily determine if an applicant has a history of bankruptcy or spot other red flags in their backgrounds, especially for high-value or high-risk fundings. While most won't run background checks on every funding, arming your case servicing team with this tool to mitigate your risk of big losses is a must. The best part is that TransUnion TLOxp offers pay-as-you-go pricing. Letterstream allows you to automate all of your mailings, and it's most valuable after you fund a plaintiff and need to confirm the lien via certified mail. You notify the attorney that you have a lien on the case, and you get a receipt proving your confirmation was received. But this can be used for a myriad of other things as well, like mailing buyout checks and lien statements, all without anyone in your office stepping foot inside a post office. Slack is one of the fastest growing business software companies of the past three years, and for good reason. Touted as "team communication for the 21st century," Slack enables you to organize conversation around specific topics or teams, so you no longer have 10-email-long threads to keep track of. RingCentral centralizes communication (phone calls, texts, and faxes) on a single app that works across all devices: computers, smartphones, tablets, and desk phones. This enables a funding company to perform multiple forms of communication, from calling and texting plaintiffs, to faxing contracts to the law office. Requiring just an internet connection, you can spin up this infrastructure in a matter of minutes. Messageflare allows you to create text messaging campaigns, schedule texts, and automate responses, especially if you have PPC or SEO leads that need to be converted ASAP. This eases the process of communication with plaintiffs who rarely check their email (or don't even have email addresses). But oh boy, do they text. Have you ever had to coordinate a call between multiple people - for example, the plaintiff, attorney, and your underwriter? Imagine how much easier this would be if everyone could dial into the same line. UberConference is free, web-based, and takes less than 2 minutes to sign up and have your own conference line. Pro tip: be sure to go into the settings and change the hold music. You can thanks us later! Calendly solves the problem of the back-and-forth communication that ensues when you're trying to schedule a time to chat with the attorney about a case. "How's Tuesday at 11:00 am?" "I can't do 11 am, what about 3:00 pm?" "I have a meeting at 3:00 pm, what about..." and on it goes. You simply set your availability and send one email with a Calendly link. The attorney or recipient can just click a time slot that works for her, and the event is added to everyone's calendars at once. Where Calendy is 21st-century scheduling, x.ai is a taste of what 22nd-century scheduling will be like. Your Artificial Intelligence-powered assistant will handle the scheduling from there. For Gmail users with Boomerang, you will never forget to follow up on an email again. For non-Gmail users, why in the world aren't you using the best email system in the world? Let's say, for example, that an attorney emailed you that she is happy to help and that you should call her on Wednesday. Boomerang reminds you by bringing the email, marked as unread, to the top of your inbox on Wednesday. What's more, you can write an email now and schedule it to be automatically sent later. Imagine this: it's Tuesday at 7 pm, and you're drafting an email to an attorney. However, she's probably out of the office. You want your email to be at the top of her email inbox come tomorrow morning so you can schedule it now to be sent at 6 am Wednesday morning. Hiring is unquestionably one of the biggest challenges you have when running a legal funding company. LinkedIn Recruiter, however, makes it much easier by allowing you to target candidates with very specific backgrounds so you can be sure they will have the knowledge they need to hit the ground running. For example, you can easily find people based on location and current role, for example, paralegal, case manager, personal injury attorney, or underwriter, and message hundreds of them in just a few minutes. Once you build a recruiting pipeline by using LinkedIn Recruiter, you will want workflow software to manage all of your candidates. Workable is an Applicant Tracking System (ATS) that will help you manage all your job candidates through the entire funnel, from the first contact to offer to start date. Upwork should be a tool all funders, regardless of size, have in their back pockets. It provides you with an infinitely flexible and inexpensive workforce to handle a wide-range of tasks for you. Building a list of all brokers in the U.S. Similar to Upwork, if you need one-off creative work done on say your website or logo, Fiverr is the place to start for inexpensive yet highly skilled freelance workers. Quickbooks is the gold standard for legal funders. Not only is it cloud-based and adaptable to your business as it scales up and down, but it is also relatively inexpensive, easy to use, provides easy and configurable reporting tools and great customer support when you hit a snag. There are other options of course – Freshbooks, Xero, and Wave, to name a few – but Quickbooks is proven. After reading this article, you may have 21 new apps to add to your collection, and with that 21 new passwords to remember. TeamPassword generates unique and secure passwords, stores them, and allows you to share them securely with your team. You can also easily add new team members or remove former team members who no longer need access, as well as set who can see which passwords. If you are a part-time or startup funder that is investing in just a handful of attorneys' cases, and you aren't yet ready for a full-fledged core funding software system, Google Sheets is a great option for a first system with some notable advantages over Excel. The obvious - cloud-based, easy to use – aside, it also is supported by a giant ecosystem of add-on applications. Our favorite is PowerTools, which helps you perform large-scale data transformations and finds/removes duplicates with ease. Whether you are in the early growth stages or are an established enterprise, your core software system should be an advantage, not a liability. In a competitive market, "it's good enough" isn't good enough. For a more detailed rundown on various features made just for your legal funding business, check out some of or recent Feature Releases or Customer Success Stories.